Product modular dilution system incorporating the Water Research Council approved Flex Gap anti- syphon device. Easy to use and low foaming trigger spray delivery 1 product modular dilution system incorporating the Water Research Council approved Flex Gap anti- syphon device. 4 product modular dilution system incorporating the Water Research Council approved Flex Gap anti- syphon device. A plumbing installation kit. 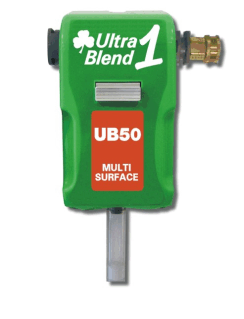 For use when installing both the Ultra Blend 1 & Ultra Blend 4 trigger and bucket fill systems.